Beds - Mattress Information coming soon..
Dual usage as either a comfortable sleepover bed or folded up into a chair. Delivered Flat Pack for easy assembly. 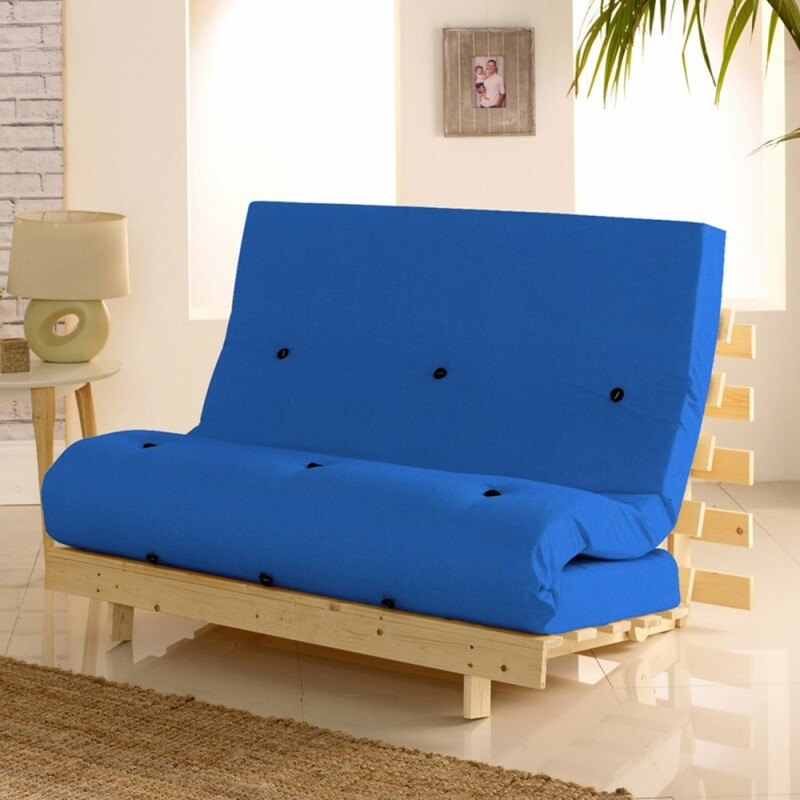 Metro Futon is an ideal solution for guests and small rooms because of its dual usage. It can be used either as a comfortable sleepover bed or a chair. The frame is made out of quality Pine wood and is very easily convertible in just few seconds. Frame is supplied partly assembled so very easy to put together by joining 2 pieces together. Fixture and fittings are included in the package.